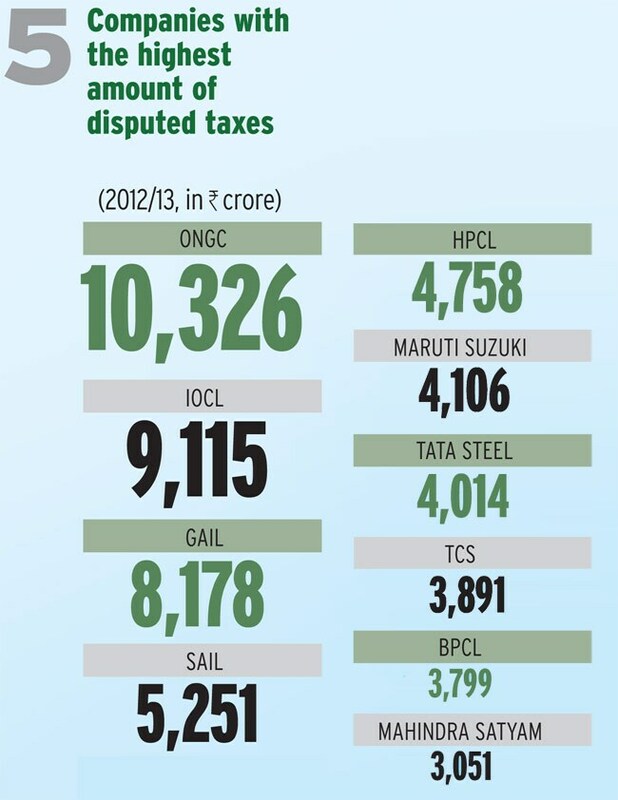 Differences between the government and Indian companies over how much tax the latter should pay have been growing. 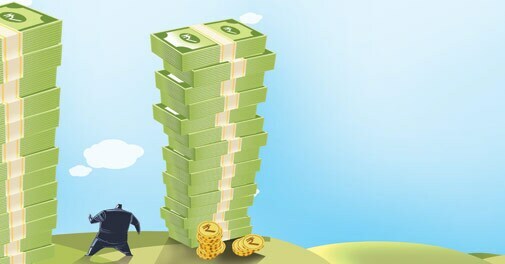 The total amount disputed by end-March 2013 was a whopping Rs 4.37 lakh crore. 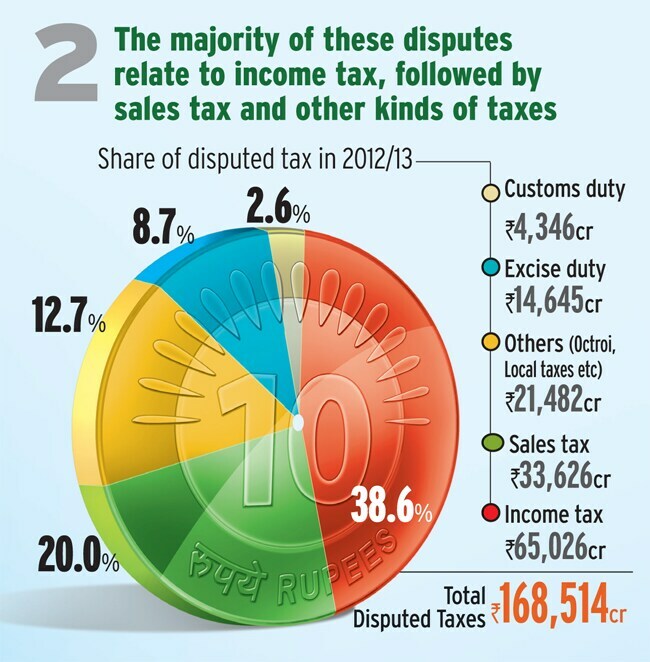 Differences between the government and Indian companies over how much tax the latter should pay have been growing. 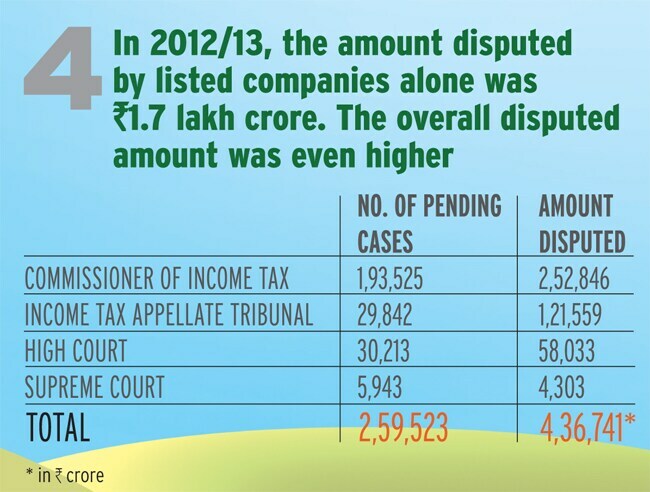 More and more companies have been contesting the taxes slapped on them. 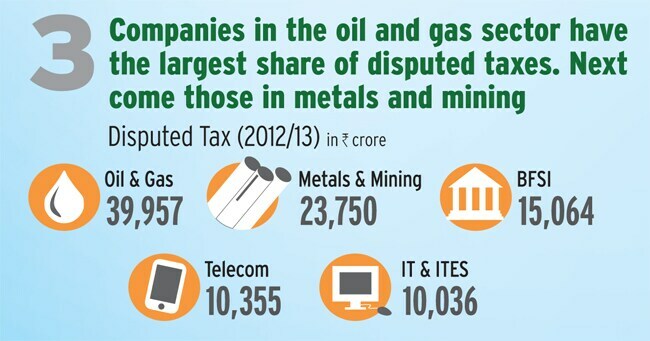 Interestingly, some of the biggest disputes are with public sector companies. 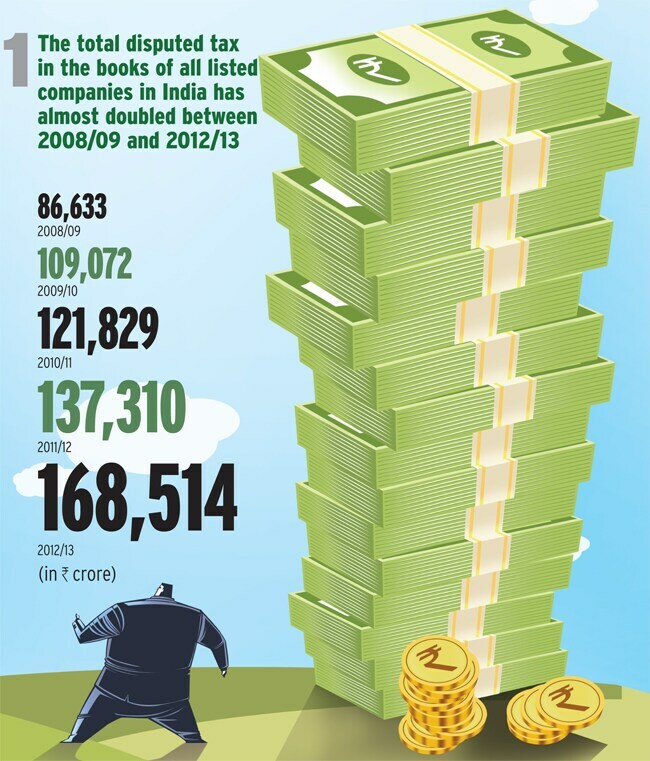 The total amount disputed by end-March 2013 was a whopping Rs 4.37 lakh crore.